Any time I've got out-of-town friends staying with me and I want to prove to them that Spokane is seriously, definitely, actually cool, I take them to Berserk. The plan always works. The downtown bar opened last summer just in time to be a venue for Volume, the Inlander's music festival, and it has quickly developed a regular clientele. 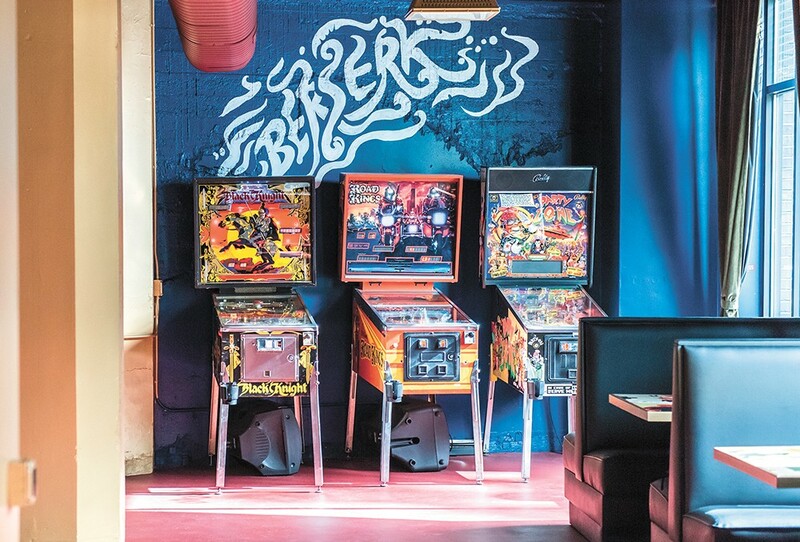 Occupying the ground floor of an old industrial building on Stevens, Berserk has the kind of artsy-but-approachable atmosphere that helps it stand out. The four owners of Berserk — Beth and Lon McRae, James Hunt and Josh Davis — collectively have years of experience in the liquor and bar industry under their belts, and they've been vocal about the fact that they designed the place in the mold of a watering hole that they'd want to hang out in. What they came up with really does offer the best of both worlds: Berserk has the cozy nooks where you can sit by yourself and enjoy a book, but it's also roomy enough that you can bring a large group without having to crowd anybody else's space. Berserk boasts a pool table and an impressive collection of retro pinball machines — it even has a regular pinball league — and it also hosts the occasional industrial/goth dance party and a Thursday night Vinyl Meltdown, where customers can play the coolest titles from their record collections over the bar's speakers. From the expressionistic painting of '80s underground icon Klaus Nomi that adorns the far wall, to the corner that functions as a shrine to the nearby Baby Bar and its owner/drink slinger extraordinaire Patty Tully, to the monthly showcases of local artists, Berserk feels both like a big-city bar and a place that is distinctly Spokane. Like we said, best of both worlds. The original print version of this article was headlined "Best New Nightspot: BERSERK"